Although the country’s known as a home to the amazing architecture from the Mughal epoch, Pakistan’s metropolitan cities like Lahore, Karachi and Islamabad are also a home to some of the world class shopping malls. 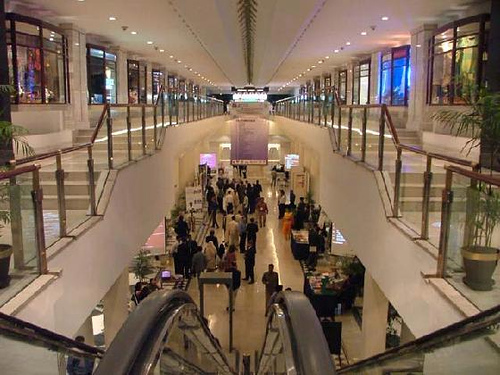 The shopping enthusiasts all over Pakistan visit these malls for shopping along with endless entertainment. There are food courts, play areas and plenty of fun zones within these superlative shopping malls in Pakistan. These malls are a proof to the unmatched talent of the architects and modern interior designers in Pakistan. AmerAdnan® the Asia Pacific Award winning architectural and interior design firm of Pakistan has compiled the list of some of the leading shopping malls located in different cities of Pakistan. The Centaurus is the largest and the most advanced shopping mall of Pakistan located in the capital city Islamabad. The mall was designed by WS Atkins, a British architectural company. The Centaurus is a combination of three skyscrapers that comprise offices, residential apartments, shopping mall and a five star hotel. The Centaurus skyscrapers comprise forty one stories and are all linked with each other via shopping mall. 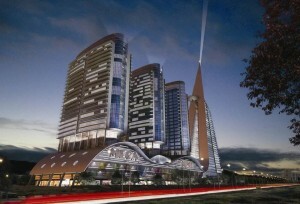 The interior designer of the mall and residence is ODEION-Turkey. The approximate cost of this mega mall is $350 million. 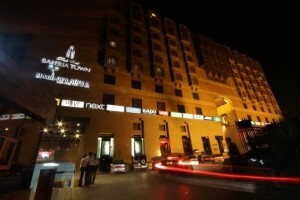 The Mall of Lahore lies in the cantonment area of the provincial capital and the cultural heart Lahore. It is a multistory and multi-purpose shopping mall complex that comprises the retail outlets of leading brands. The great mall covers an area of 650,000 sq. feet and more than seventy stores. The Mall of Lahore is the largest shopping complex in the city and is owned by the largest real estate firm of Pakistan ‘Bahria Town’. Ali Ahmad Riaz Malik son of Malik Riaz, Pakistan’s leading business tycoon, is the CEO of the Mall of Lahore. Situated alongside the coastline of Pakistan’s largest city Karachi, the Dolmen Mall is yet another display of world class architecture and state-of-the-art construction in Pakistan. The Dolmen Mall is owned and operated by Dolmen City project, the largest mixed-use development projects in Pakistan. The place where Dolmen Mall is constructed was formerly a hotel and casino built in seventies by Zulfiqar Ali Bhutto, the late and former PM of the country. The Dolmen Mall covers an area of approximately 4.2 million sq. feet and is designed by Arshad Shahid Abdulla. The mall is connected to four towers which include offices of multinational firms. Situated in Lahore, the cultural heart of Pakistan, Vogue Towers is a multi-purpose complex that comprises a number of retail outlets of the world’s leading apparel brands. 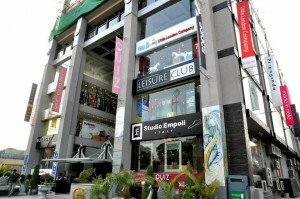 The building has underground parking levels, 3D and 4D screen cinemas and a lot more. 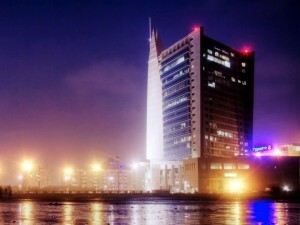 The Vogue Towers stands tall on an area of approx. 200,000 sq. feet on one of Lahore’s most prominent boulevards MM Alam Road. The tower was founded by JS Developers. Its construction began in 2007 and completed in 2010. Nayyar Ali Dada who is the country’s prominent architect is the person behind the architecture of this iconic shopping mall.